Lock up your personal, private, and valuable items in style. 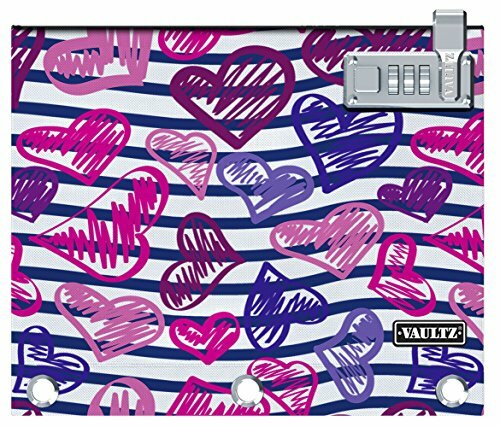 The Vaultz Locking Binder Pouch is perfect for securing school supplies, small valuables, personal items, and anything else you want to keep locked up. Constructed of durable nylon, this pouch fits in a standard 3-ring binder. The patent pending locking zipper uses the zipper pull as the latch for the convenient and sturdy combination lock pad. This locking binder pouch stores easily in a backpack, glove compartment, purse, or drawer. Vaultz offers a wide range of fashionable security storage products that allow you to store, transport and protect the things that are important to you. If you have any questions about this product by Vaultz, contact us by completing and submitting the form below. If you are looking for a specif part number, please include it with your message.